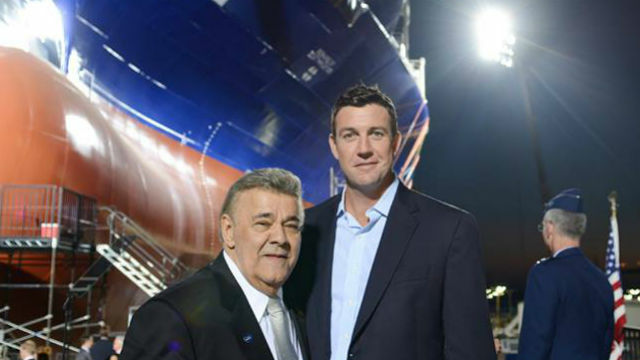 The American Maritime Partnership, an influential trade association, recognized Rep. Duncan Hunter Wednesday for his support to the American shipbuilding industry. Hunter, who represents east San Diego County, received the 2015 Champion of Maritime Award, the partnership’s highest honor, at a ceremony in Washington. In April, Hunter was the principal speaker at the launch of the world’s first natural-gas powered containership at the General Dynamics NASSCO shipyard in Barrio Logan. NASSCO is the largest shipyard on the West Coast and builds vessels for both the Navy and private shipping companies. In Congress, Hunter serves as chairman of the House Subcommittee on Coast Guard and Maritime Transportation and as a member of the Seapower Subcommittee of the House Armed Services Committee. “As the first Marine combat veteran of the wars in Iraq and Afghanistan elected to U.S. Congress, Rep. Hunter understands the importance that the maritime industry serves in the everyday lives of our civilians and our service men and women,” said Tom Allegretti, chairman of the partnership. The nearly century-old Jones Act requires shipping between U.S. ports to use domestically built ships with American crews. It has been periodically challenged by some in Congress, most recently by Sen. John McCain of Arizona.